Just a friendly reminder in Plaka, placed in a potted tree. 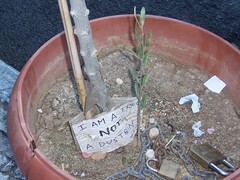 Reads: "I am a tree NOT a dustbin." Some still seem to have ignored it. 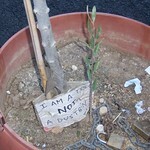 "I am a tree NOT a dustbin"